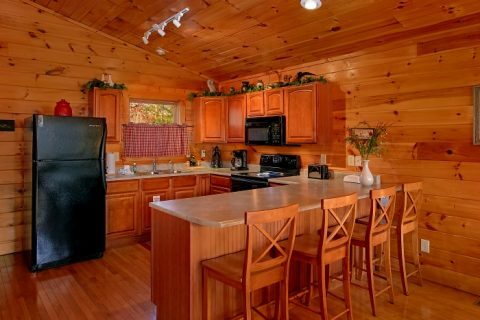 From the moment you step into this secluded cabin in Wears Valley, you'll be saying "I Don't Want 2 Leave!" 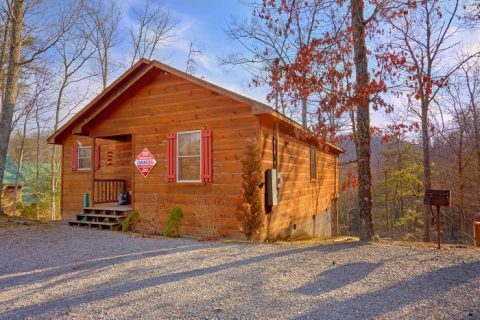 This romantic 1-bedroom cabin near Pigeon Forge is ideal for couples on honeymoons, anniversary trips, or just a spontaneous weekend getaway. 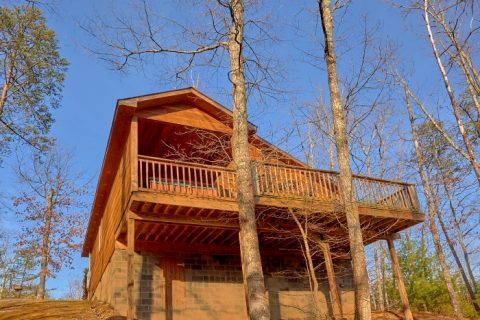 Thanks to this cabin's great location just off of Wears Valley road, guests of this cabin are within easy reach of the Pigeon Forge Parkway. 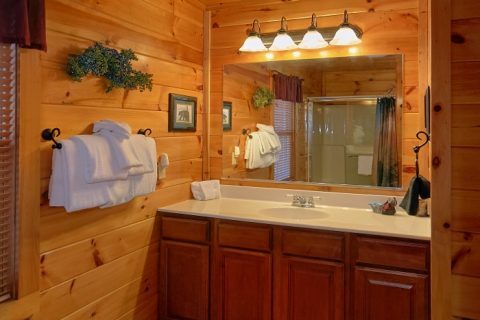 As a result, top rated attractions like The Island in Pigeon Forge, The Tomb, and dozens of shops and restaurants are only a short trip away! By driving towards Wears Valley, guests can reach a picturesque mountain community that's surrounded by tall mountains on all sides. 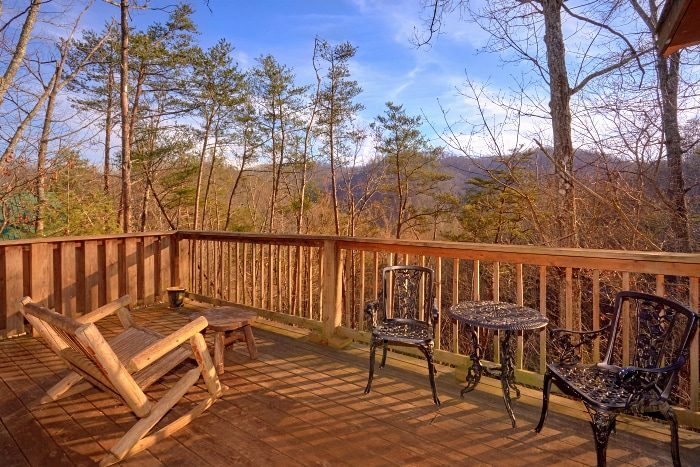 Additionally, Wears Valley also offers quick access to the Great Smoky Mountains National Park via the Metcalf Bottoms park entrance. 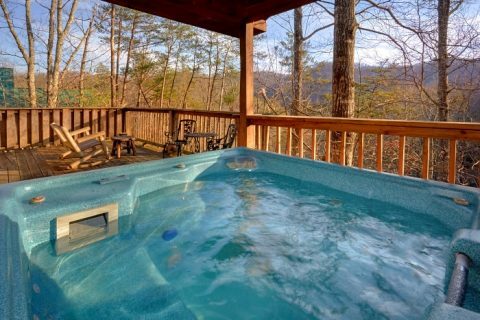 Back at your cabin, this rental's lovely mountain view is sure to help you relax and unwind during your stay. 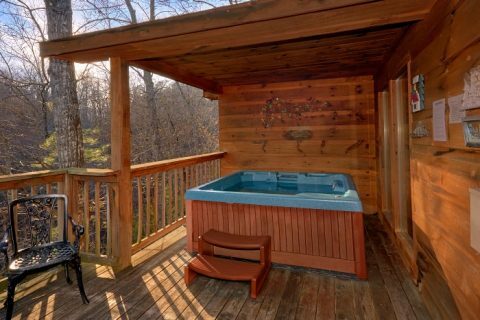 Whether you're sitting back in your cabin's hot tub or just taking in the fresh air on the deck, you're bound to love staying in this cabin that immerses you in nature. 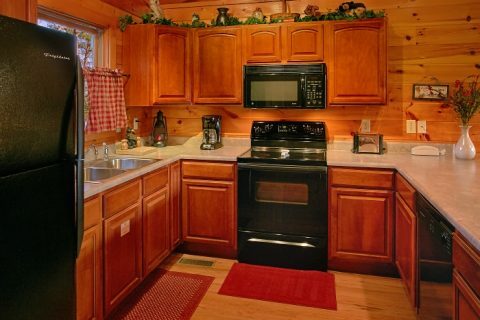 Your cabin also comes complete with a charcoal grill, an electric fireplace, a full kitchen, and a washer & dryer to use during your stay. 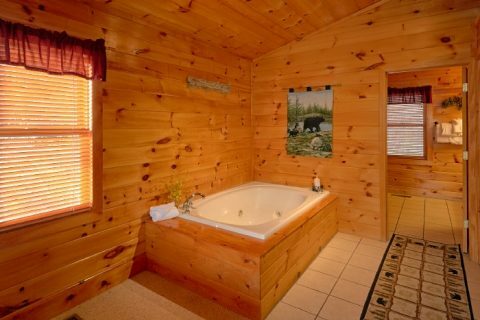 For staying well rested on your trip, this cabin comes complete with a private, queen-size bedroom and a bathroom with a jacuzzi tub. For extra guests, this rental offers a sleeper sofa. 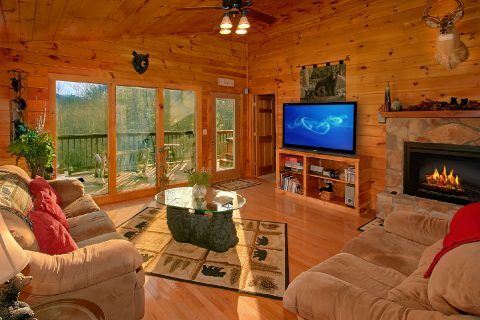 All in all, this rental can comfortably sleep 4 people, just enough for a small family vacation in the Smokies. 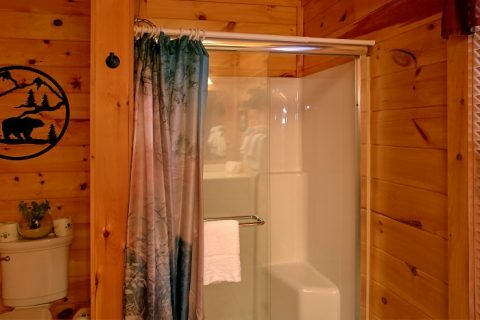 Don't forget, you can reserve your private cabin near Pigeon Forge and get a 15% discount on your stay! Enjoy a truly affordable vacation in the heart of the Smoky Mountains at this secluded cabin with a view!